• When working with an attorney, check with the state bar association to make sure the individual is eligible to practice law and in good standing. • When working with a non-attorney, check to see if he or she is accredited through the federal Board of Immigration Appeals. • Seek second opinions from multiple attorneys or accredited individuals. • Don’t sign blank documents or documents you haven’t fully read and understood. • Keep all receipts for your records. GLENDALE – Whenever Monica Alegria has an appointment with U.S. Citizenship and Immigration Services, she gets so nervous her head aches. 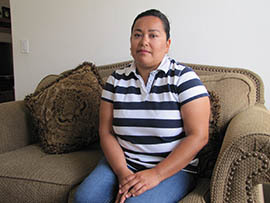 Alegria didn’t come into the country illegally nor does she have a criminal record, but she and her husband are facing possible deportation. While applying for green cards, she said, the couple paid $2,000 in legal fees to an individual they thought was a licensed immigration attorney but who disappeared without providing any legal services. Frustrated, the Alegrias then tried another firm, only to be victims of fraud again. This time, according to their current attorney, the individual filed the Alegrias’ green card applications under asylum status even though they weren’t eligible, causing the start of deportation proceedings. “It’s like a nightmare,” Alegria said. Alegria and her husband are victims of a crime called notario fraud. This common problem for immigrants is committed by individuals called notarios who falsely claim to have the qualifications to offer legal counsel or file paperwork related to immigration proceedings. As a result, immigrants often find out their paperwork was filed incorrectly, or not at all, after they’ve paid hefty legal fees. The Alegrias first tried to apply for their green cards in 2010, after living in the U.S. for years with work visas. Monica Alegria, who immigrated from Mexico in 2001, described in broken English the day her husband realized they had been scammed by the person they thought was their attorney. 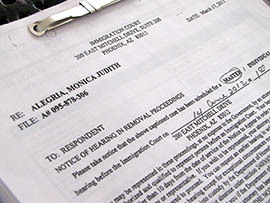 Alegria provided receipts and a business card for United Immigration Services of Phoenix. Neither the phone numbers nor the website on the business card were working, and Cronkite News was unable to locate a representative of United Immigration Services for comment. Alegria said she fears for her four children, who are all American citizens, if her family is deported to either Mexico or Guatemala, where her husband is from. Many immigrants’ confusion comes from the word notario itself, which in Latin America refers to someone with the equivalent of a law license. “Notario” translated literally means “notary,” but notaries in the U.S. are qualified to witness signatures, not provide legal advice. Those who commit notario fraud often exploit this discrepancy to deceive immigrants for profit. Judy Flanagan, the Alegrias’ new immigration attorney, said it’s not uncommon for her clients to have seen a notario first when they come to her for help. Although there are legitimate document preparers, those who unlawfully provide legal advice are often trying to make easy money, she said. Another immigration attorney, Alicia Heflin of Phoenix, said not only is notario fraud detrimental to immigrants, it’s also illegal under federal and state law. Arizona law states the unauthorized practice of immigration law is a Class 6 felony and is the responsibility of the Arizona Attorney General’s Office to stop or prevent. Notario fraud also violates the Arizona Consumer Fraud Act. Heflin contends that the Arizona Attorney General’s Office doesn’t target notario fraud because immigrants aren’t a priority demographic. Kristen Keogh, spokeswoman for the Arizona Attorney General’s Office, said the office does everything it can to help victims of notario fraud. Heflin said if the court injunction on President Barack Obama’s executive actions on immigration is lifted, this will likely create more opportunities for fraud. “Any time there’s a change in immigration law there are people who take advantage of that and try to get people in the door by saying, ‘We can prepare these forms for you,’” she said. 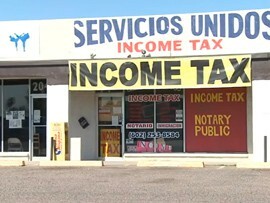 To avoid becoming a victim of notario fraud, attorneys recommend that immigrants ask to see documentation proving an individual is a licensed attorney, as well as only signing contracts they fully understand. The federal Board of Immigration Appeals also accredits non-attorneys, such as members of charitable organizations, to practice immigration law. Alegria said immigrants who are looking for legal help need to be extremely wary to avoid being victimized like she and her husband were. Many undocumented immigrants looking to become citizens are being scammed out of their money by notaries. Monica Alegria says she faces deportation because of shoddy work by someone claiming to provide expert help with immigration paperwork. Monica Alegria of Glendale says she and her husband lost $2,000 and face deportation because of paperwork errors after becoming victims of notario fraud.